President Trump's trip to China exemplifies what I call his "head of state" diplomacy: prioritizing personal relationships with his foreign counterparts. Trump's style has been criticized, but it is starting to yield real results for U.S. business interests. 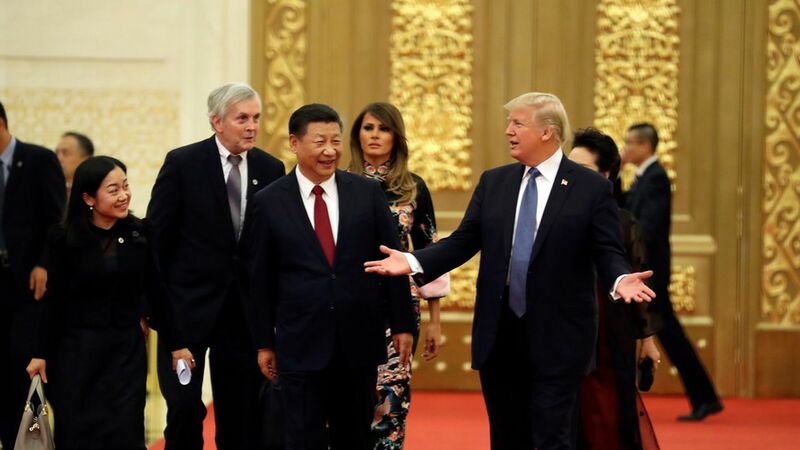 The administration's announcement of $253 billion in trade deals marks a new record for a China trip and will make a significant dent in the trade deficit, which is running at $273 billion for the first nine months of 2017. Yet it is market access for our most competitive industries that will ultimately restore balance to the relationship, and President Xi has started to make concessions. Restrictions on foreign investment are being phased out or lifted on banks, brokerages and asset-management companies. China also removed the requirement that foreign firms transfer their sensitive technologies before being approved for investing or partnering in China, which has been a hurdle for American companies, especially in the auto industry. Why it matters: Over time, these policies will further integrate China into the international financial system and create greater opportunities for foreign firms to operate in the world's fastest-growing major economy.